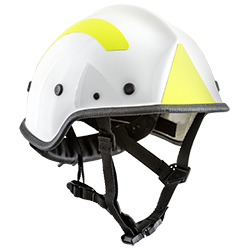 All R7 helmets can be made with or without a front peak depending on your preference. Find out more below about the different models. 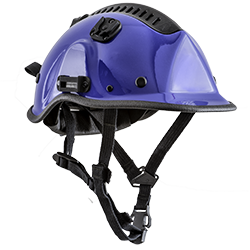 The R7H features a solid closed crown and can be made with or without a front peak. 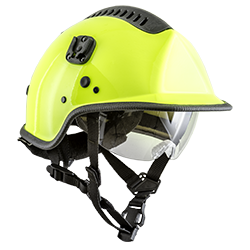 A wide range of available features mean this helmet can be used for a variety of situations. The R7HV features the Dynamic Sealed Ventilation System (DSVS™) which is watertight when closed. Can be fitted with eye protection and a number of other accessories. Scalloped variation of the R7. Dynamic Sealed Ventilation System (DSVS™) which is watertight when closed. Only R7 compatible with clip on Earmuffs.